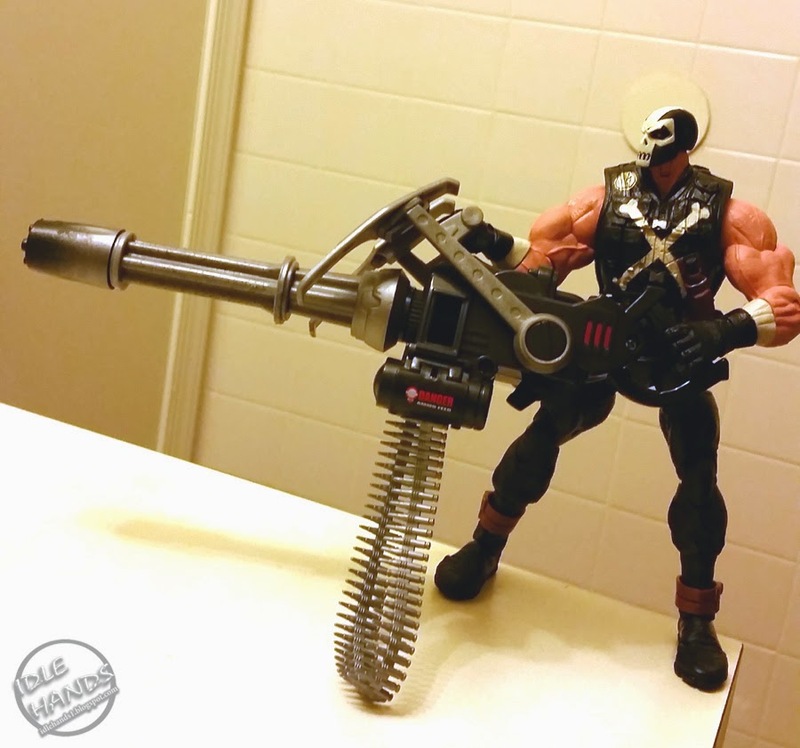 Hasbro was on the same page as our infantile, pre-teen brains and gave him....the most ridiculous gun possible. I'd say they went further than most of us would. 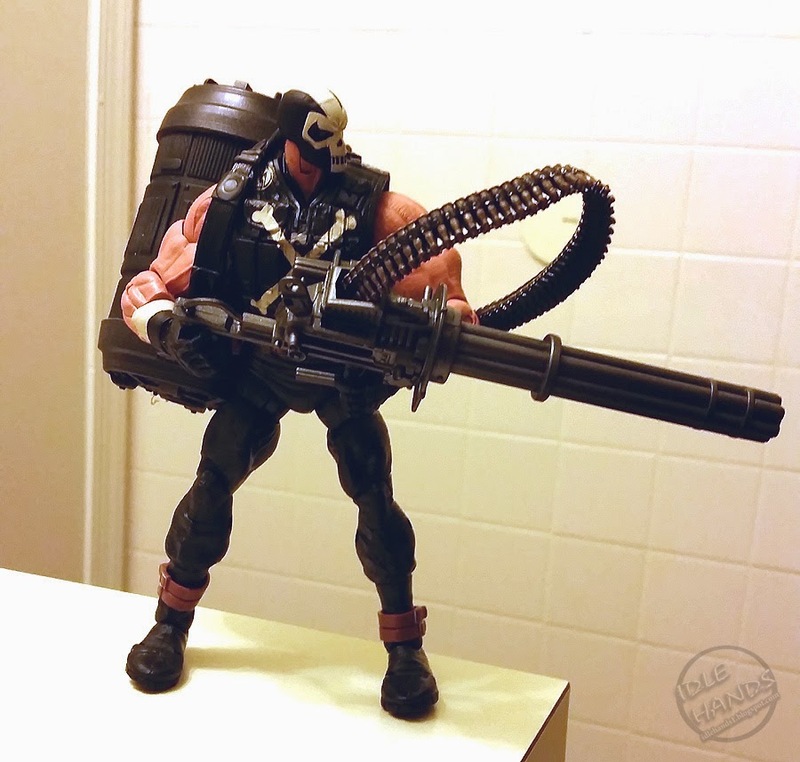 To one up our expectations, they made this massive, hand held Gatling gun with a built in action feature that sends the rotor spinning (sort of). My only complaint..it's TOO EXXXTREEEEEEME!!! Let's bring it back a bit. Meet Vulcan Raven from McFarlane Toys Metal Gear Solid action figure line. 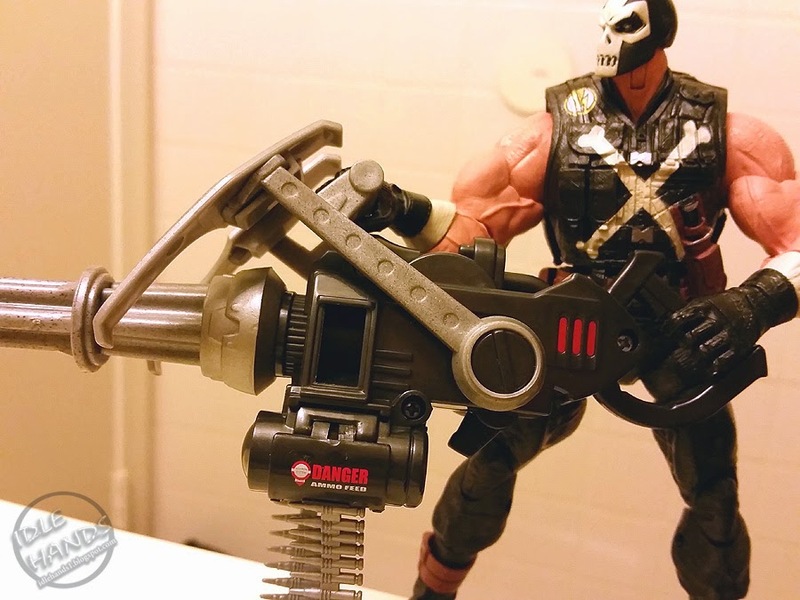 (and yes, I realize I set up Crossbones holding the gun wrong now that I have the official pic. Shup. He still looks awesome.) 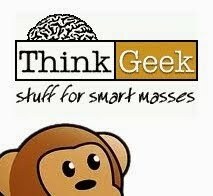 Once highly sought after, VR now goes for a reasonable price in package and better still, since seemingly forgotten by mainstream fans, is turning up loose on flea market tables across the states. When buying loose, the key is finding one with an in-tact ammo pack complete with shoulder strap. That's where the awesome lives and breathes. Think about it. 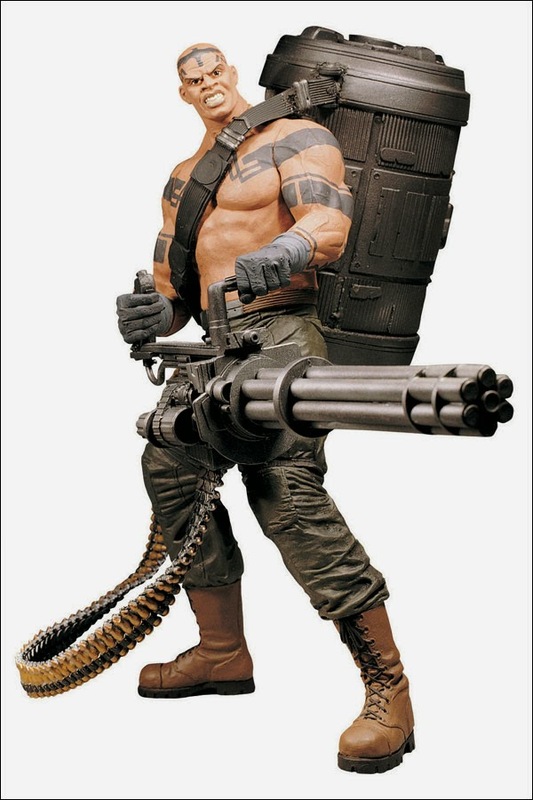 A dude walks into a firefight with a Gatling gun. Awesome. 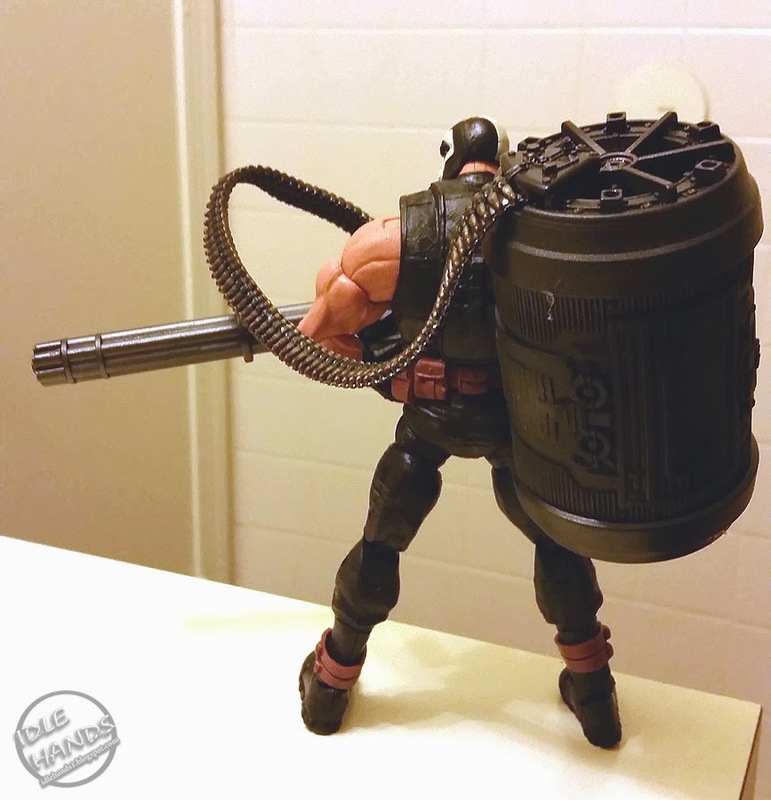 He's got to have guns of his own just to lift the damn thing. Now imagine your guy comes strolling in with the same gun AND a massive canister slung across his back housing enough ammo to cut a house down....literally. 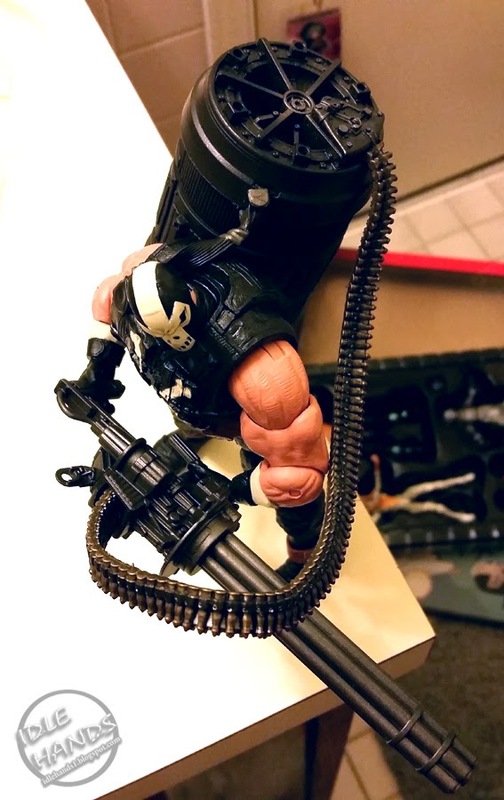 Crossbones has a fairly big vest on, so you won't get that strap across his chest like in the pic above, but there's something even more insanely fun about him tossing this over his shoulder like a gym bag. 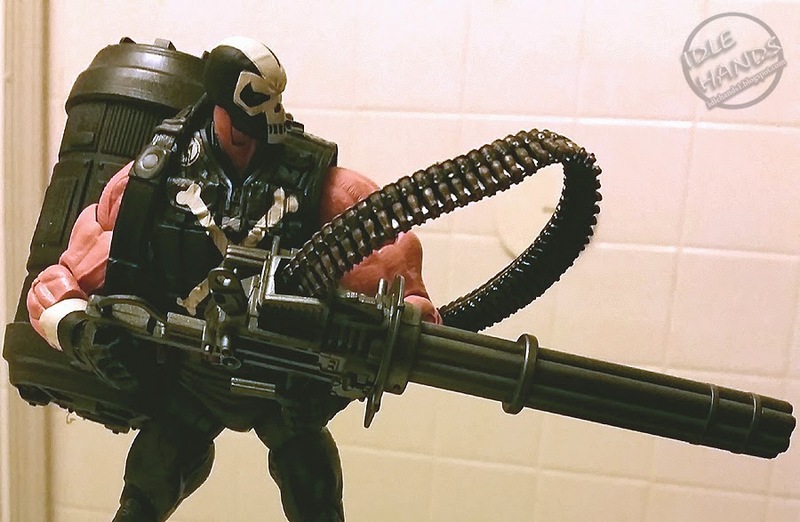 Crossbones now gets a +10 for apocalyptic firepower. 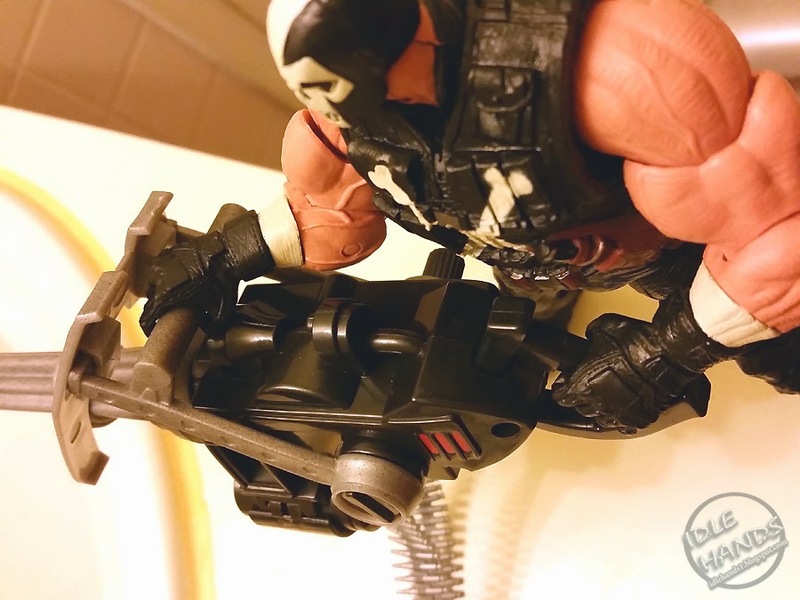 Crossbones: UPGRADED!